Art has remarkable power—it can evoke underlying emotions, expose us to new perspectives, and expand our worldview. Major metropolises are known as fine art meccas, but they’re not the only hot spots where you can come into contact with the magic of creative expression. Park City is home to a vibrant art scene that surprises visitors with its exceptional visual art events and collections. To start your immersion into the aesthetically sublime, you might spend a leisurely afternoon gallery-hopping. Everything from traditional works to avant-garde pieces and sculpture to experimental mediums will meet your gaze. With so many galleries to choose from, you could have a hard time deciding which ones to browse. The solution? Mark your calendar for the last Friday of the month and join the Park City Gallery Stroll. Enhanced by light refreshments and the company of other enthusiasts, this free organized outing offers an opportunity to drop in on nearly 20 galleries and gain inspiration—or the next addition to your personal collection. 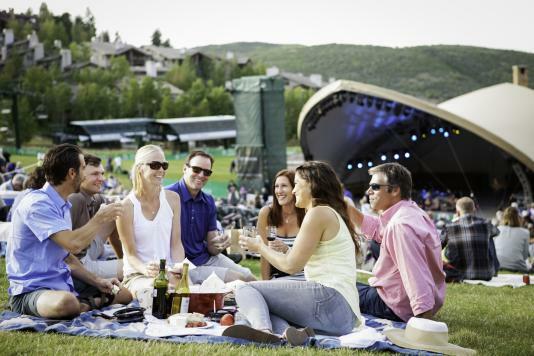 In the heart of downtown, you’ll find the hub of culture and artistic spirit in Park City. For more than 40 years, the Kimball Art Center has connected the community through art and earned its reputation as a world-class institution. The center’s tagline—art starts here—is fitting. It is indeed the gathering place where locals and tourists alike go to experience the transformative nature of the arts by creating and viewing it. A bright spot of education, Kimball Art Center offers an array of visual art events and workshops for kids, teens, and adults. Want to try your hand at making your very own masterpiece? Take a look at the class schedule and set aside a few hours in your itinerary. With more than 300 offerings each year, there’s seriously something for everyone. Cartooning? Check. Pottery throwing? Absolutely. Printmaking? Certainly. Painting and drawing? Of course. Jewelry making? You bet. Welding? Why not? Park City is, after all, a place to explore and discover the beauty that exists both around us and within us. If you’d rather spend time relishing the craftsmanship of professional makers, Kimball Arts Center displays it in a magnificent fashion. Renowned exhibitions rotate on the regular, and the on-site coffee shop gets as many glowing reviews as the artwork. Did we mention that admission is always free? Grab a cappuccino and a stay awhile. It might just be the highlight of your trip. It’s only appropriate that the Kimball Art Center is responsible for producing the longest running arts festival in Utah—the Park City Kimball Arts Festival, which takes place on Historic Main Street each August. Featuring notoriously delicious cuisine, dozens of live musical acts, and plenty of interactive activities, this three-day-long festival and multi-sensory delight is the not-to-miss art event of the year. You need not be an art aficionado to enjoy it. Art buffs who do attend, however, won’t be disappointed by the painstakingly curated spectacle. More than 220 jury-selected artists from over 30 states in 12 categories are on display for the more than 50,000 people who attend. As if you needed another reason to go, proceeds from the festival enable the aforementioned year-round free admission to the center’s exhibitions. Yes, good wholesome fun still exists—and you can feel extra good about this kind! If you’re also an admirer of performing arts, you won’t regret catching a show at the George S. and Dolores Doré Eccles Center. Its main stage is the premier venue for first-rate dancers, musicians, and speakers who pass through Park City. That magic of creative expression we talked about earlier? It’s referred to as the “Eccles bump” here. Locals like to think it happens to performers after they hit the famed Eccles stage. The truth is the real magic happens in the audience. But don’t take our word for it, experience it for yourself. Most, if not all, visitors love Park City for the flawless all-season weather and everything that comes with it. Many savvy travelers make a point to take pleasure in the perfect cultural complement to the beauty of the great outdoors—Park City’s visual arts events and exhibitions. We suggest you follow their lead. New horizons await you.